Each safe, low voltage microinverter connects to a single panel, so unlike other types of inverters, if there are clouds or a dirty, shaded or problem panel, the rest of the system keeps running smoothly. This technology delivers the most reliable, high-performing solar system to provide the best return on your investment. 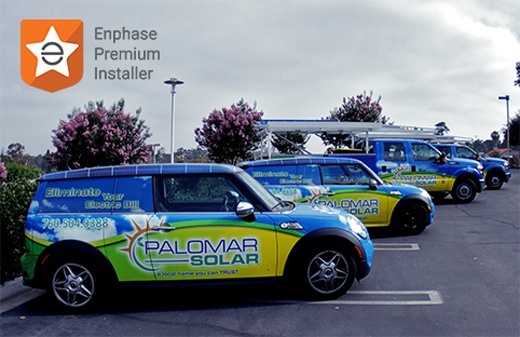 Palomar Solar has installed and monitors more than 600 Enphase systems, earning the elite status of Enphase Premium Installer. Our partnership and experience with Enphase means that you have a reliable system that is expertly designed and installed for your house, with a higher level of service after the sale. Visit www.palomarsolar.com to learn more. You can learn how much power your system is producing at any time, from your phone or computer. This real-time data lets you know how your system performs day-to-day, even with weather changes, or if there's a problem with your system. 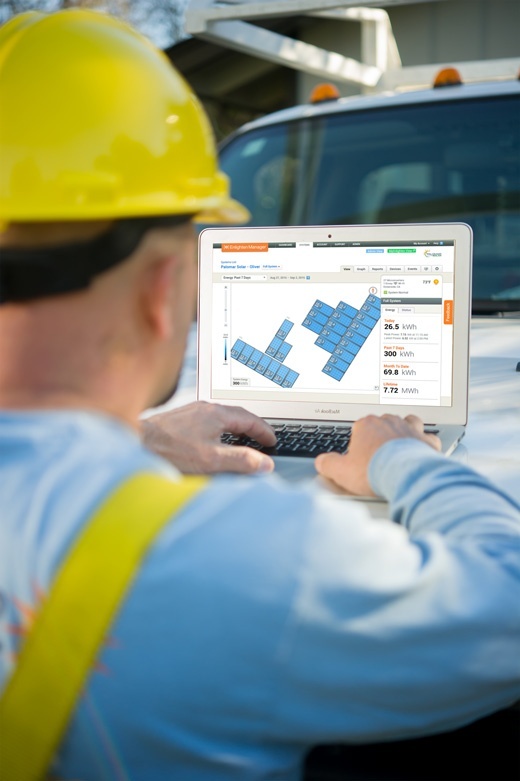 The data your Enphase system collects isn't just great for you. It enables us to provide a better level of service for you. A central inverter system, i.e. Solar Edge, etc., requires large pieces of equipment to be mounted on the outside of your beautiful home, or it takes up valuable space in your garage. On the contrary, an Enphase system with Palomar Solar only requires a single piece of conduit to run from your main electrical panel to your roof. Often times this can be done within the home. If it is mounted on the exterior Palomar Solar will paint it to match your home. 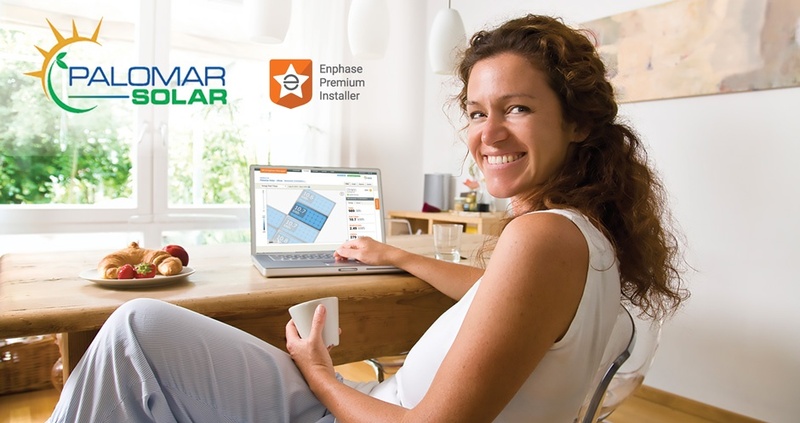 Every part of the Enphase system that Palomar Solar delivers is designed to have minimal impact on your home. Wiring and equipment stay out of sight, and our low voltage design boosts safety.